FINAL SALE. EXCHANGE OR CREDIT ONLY. 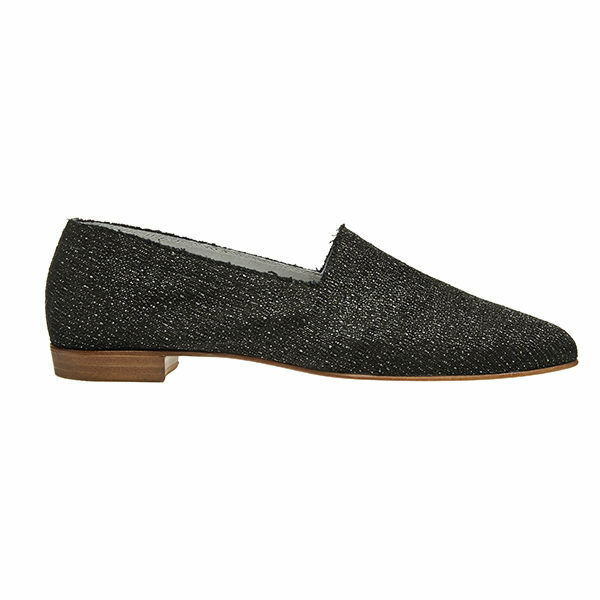 Fabulously flirty, our fabric flats are Christmas holiday easy. Inky raffia-like texture shot through with a subtle glimmer of silver they are house-celebration perfection, lifting day-time separates and gilding night-time dresses and party wear. With a raw edge for laid-back glamour. Chic Black. It’s all in the name. Our No10 flats are designed for day-to-night style and wearability – handmade in Portugal from the finest materials with a lightly cushioned sole, unlined and made to fit like a glove. If you are between sizes or prefer a less-snug fit, go a size up.